Lignocellulosic materials are the potential renewable energy resources for the production of transportation fuels. 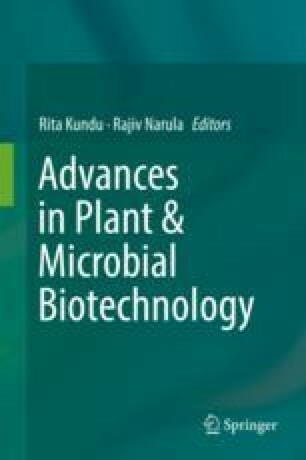 In the present study, sorghum biomass is used as a model lignocellulosic substrate for the production of xylulosic ethanol. Dilute sulfuric acid pretreatment was performed at different solid loadings (2.5% to 15% w/v) to hydrolyze the maximum hemicellulosic content of sorghum biomass. As a result, significant xylan conversion efficiency was achieved and xylose found to be a predominant sugar present in the acid hydrolyzate. The pretreatment-derived acid hydrolyzate was divided into five fractions, and each fraction was neutralized with different alkaline agents such as calcium hydroxide (Ca(OH)2), potassium hydroxide (KOH), magnesium hydroxide (Mg(OH)2), sodium hydroxide (NaOH), and ammonia (NH3) to determine the effect of alkaline agents on Pichia stipitis growth and xylulosic ethanol production. Among all the alkaline agents, Ca(OH)2 was found to be a significant neutralizing agent which showed comparatively higher ethanol yield and productivity during the fermentation. Authors would like to thank Miss Sushmita Mahanta, a summer trainee at Centre for the Environment, IIT Guwahati, for her help in proofreading.